'Tis the Season Once Again for Pumpkin Beer! 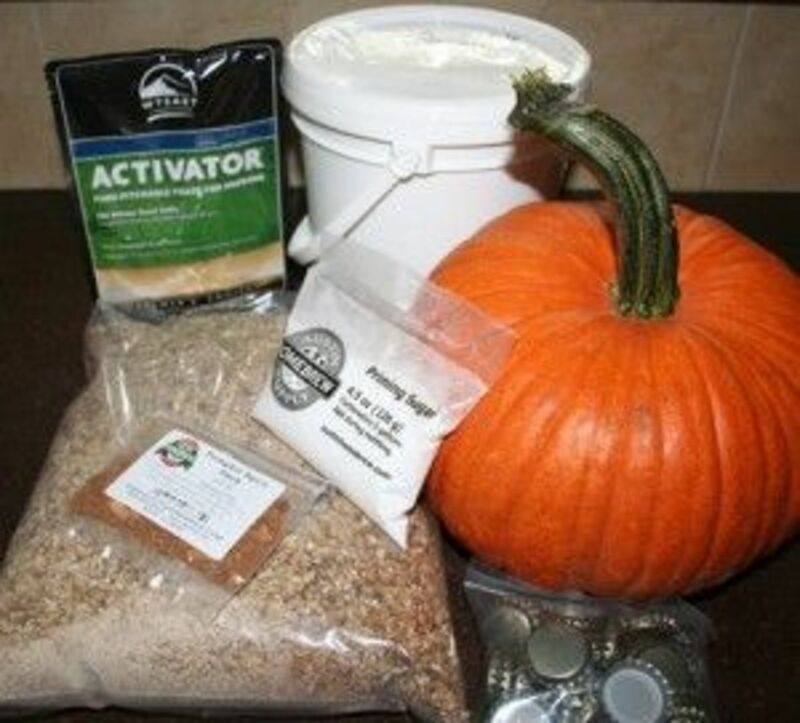 Brew your own Pumpkin Beer right at home! Yes, you can make homemade Pumpkin Beer Ice Cream, too. What better way for the family to get together on Thanksgiving but to make some homemade Pumpkin Beer ice Cream to go with the pumpkin pie? How many of you love or hate Pumpkin Beer? There's no need to jump up and down yelling "Whoopie! 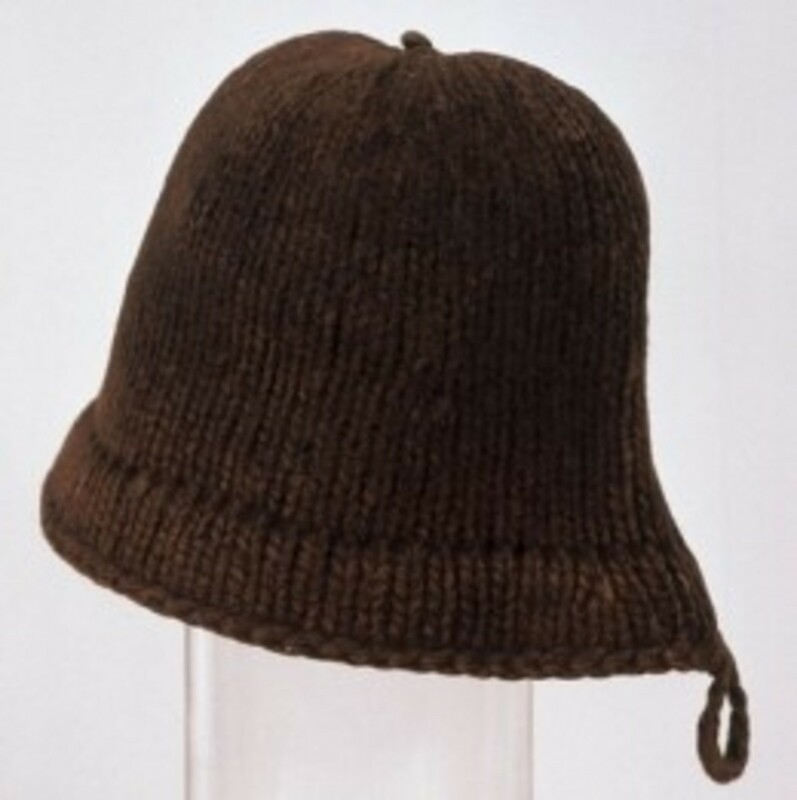 ", unless you WANT to look like a complete idiot to your friends and family. If you do - that's O.K. too - I look and sound like a complete idiot quite often to my friends and family. I leave them scratching their heads in total disbelief and wonderment all the time! Just Raise Your Hand if You Love it. No, no, no, no, no, don't raise your hand, and don't do what I say, just vote by ticking the little balloon. I'm the idiot. Remember? Just click the circle while you have voting booth nightmares. The brewing of Pumpkin Beer, or Pumpkin Ale goes back to the time of our founding fathers in the colonies of North America. Having an ale for breakfast was not an uncommon practice at that time because drinking water wasn't always safe. During the autumn harvest, brewing a beverage from the produce of the harvest, was just thrifty good sense and pumpkin was plentiful as were some of the spices. Brewing these spiced ales reflected the necessity of using the harvest in as many ways as possible to store for the winter without wasting anything. As far as we know from the cookbooks of 1500's, the pumpkin beer, and other spiced beers such as Ginger Beer and Sassafras Beer (Root Beer), were very different than the beers as we know them today. Although pumpkin doesn't actually add that much flavor to a beer, the spices that are added by the brewer are what creates the unique ale flavors. These spices give the flavor and essence of a pumpkin pie rather than the sweet, buttery taste of the gourd. This is a recipe that someone gave me a few years ago. I don't know where he got it from and I haven't tried it myself. It is worth a try for anyone that has already brewed beer at home or for anyone willing to try. In this recipe DO NOT use canned pumpkin! Real pumpkin is a must. First roast the pumpkin in the oven, the same way you roast any winter squash. This will soften the pumpkin. Cut the pumpkin in half, remove the seeds and strings. Cut the pumpkin into manageable pieces. 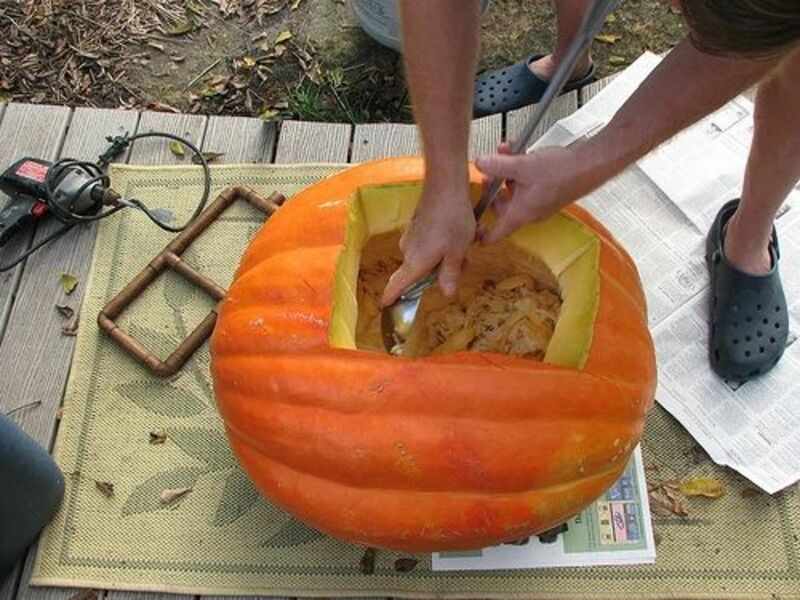 (Old jack-o'lanterns work great), Place pumpkin pieces in a shallow roasting pan and add a bit of water to the pan. 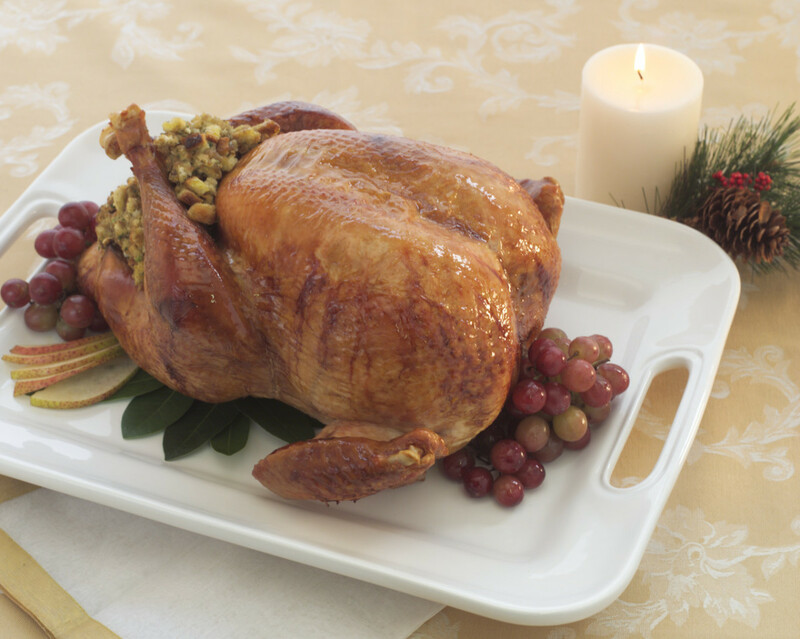 Roast in a 350F° oven for about an hour, or until tender. . There are two ways you can incorporate the finished pumpkin: a partial mash style method or simply a soak with the grains as the water heats. For the soak method: Add the pumpkin and the grains to your pot of water and put it on the heat to boil. When it boils, remove the pumpkin and grains. Add the malt extract (6 pounds is for dry, you could easily get away with 7 pounds if it's syrup), optional brown sugar and molasses, Mt. Hood hops and boil for 1 hour. After 45 minutes, add the finishing Hallertauer hops. At the very end of the boil, add the vanilla and pumpkin spices* - these are volatile and adding them to the boil any sooner will essentially nullify their flavor. Ferment for 1 week, or until primary fermentation settles down and rack to a secondary for 2 more weeks. The secondary fermentation is not strictly necessary, but it helps for clarification and for letting the flavors mellow. Bottle, priming with 1/2 cup of corn sugar, and drink after a couple of weeks. * Pumpkin Spices: I like a typical mixture of what you'd put into a pumpkin pie: cinnamon, allspice, ginger and a smidgeon of nutmeg and clove. DON'T use the generic "Pumpkin Pie Spice" from the store. It is terribly bland. Mix your own instead. Your own mix will give you more control over the outcome. This spice aroma is one of the first things you notice when you open a bottle. A quick note about the hops. Mt. Hood is a nice spicy, slightly sweet hop (a variant of Hallertauer, actually) that seems to complement this beer well. For finishing, you don't have to stick to Hallertauer; play with it a bit. Cascade might be a nice finish, or if you want to reduce the hop bite, omit the finishing hop altogether. I would first check out my local brewing store for advice on exactly what's needed. You could print out a recipe from here and take it to the store with you to show the brewer shopkeeper. Once he gives you the list of what he thinks you should have, compare the prices with the homebrew kits on Amazon. f you don't have a brewing shop in your town, then buying a homebrew beer kit online is the easiest and probably the most economical route. Keep in mind that you can save a lot on shipping if you furnish your own beer bottles. If you haven't been saving any at home start saving them immediately. Remember to wash and sterilize the bottles thoroughly. Usually, a really good dish washer set on high will take care of that. Compare the home brew beer kits at your local stores with this one from Amazon. Amazon has a ton of different ones that are all reasonably priced. You can use any beer making kit you want. Just use your favorite pumpkin beer recipe. My husband liked this Homebrew Beer Kit when he tried brewing his own beer. It includes everything a beginner needs to try their hand at making homemade beer. This one includes the bottles. You can get cheaper kits if you supply your own bottles. The kit includes easy to follow instructions and all the equipment needed to make your first batch of homebrew. It is a perfect gift to give the Dad or husband who's been yearning to try this skill at home. Pumpkin Spiced Ale can be a tricky recipe to pull off, but delicious if done right. This ale is an excellent addition to Fall and Winter gatherings. Here is a recipe that is a delicate balance of strong flavors! That time of the year to start thinking about making a batch of pumpkin ale for the holidays. If you have never tried pumpkin beer you are in for a treat. It's like drinking your pumpkin pie but with a little kick. This guy thinks this is the best Pumpkin Ale recipe he's ever tasted. He has been making it for 5 years and says it has not failed him yet. This beer brewer says this recipe turned out wonderfully good. So good in fact, that he wanted to share it. 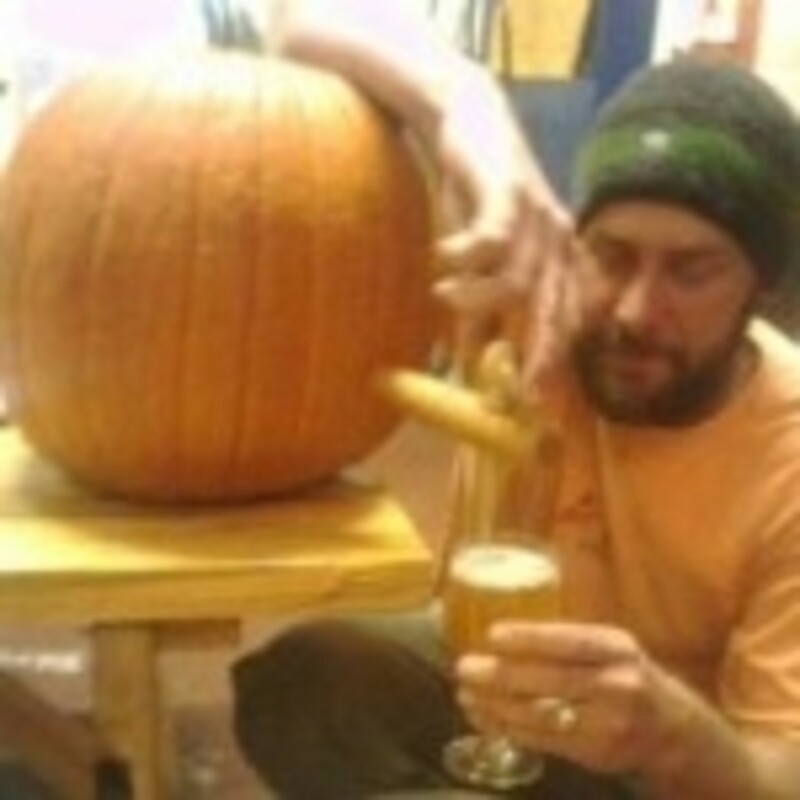 I found this really cool blog that shows you step-by-step how to make your Pumpkin Beer in a pumpkin. Do Pumpkin Beers Measure Up? There are many beer drinking aficionados that scoff at the idea of drinking beer made from that winter squash named pumpkin. 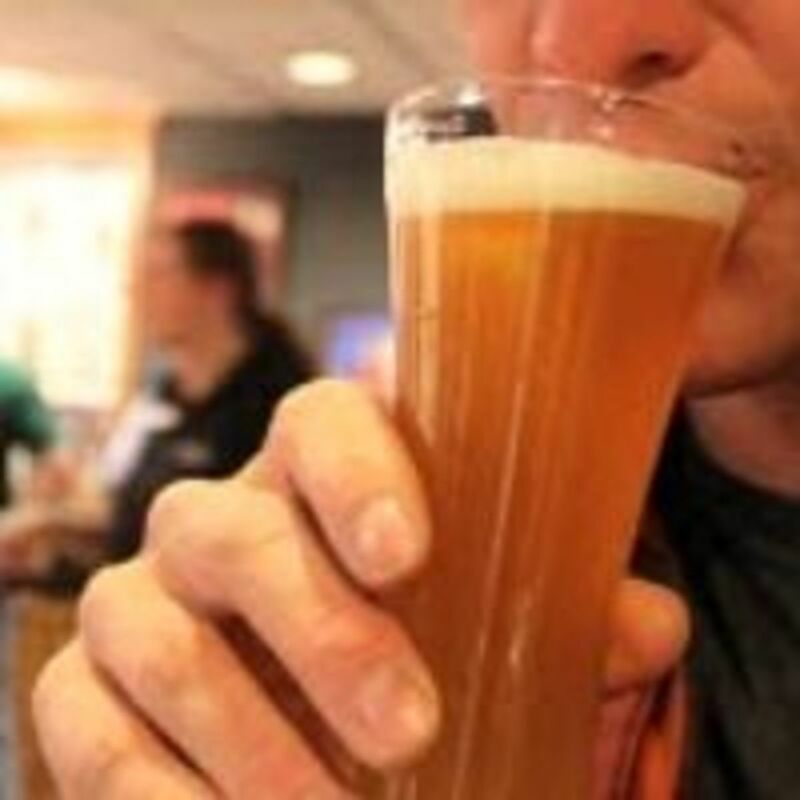 After all, how can beers that are flavored with pumpkin and sweetened with honey, maple syrup or brown sugar; and have a heady aroma of vanilla, cinnamon, allspice, ginger, cloves or nutmeg, be considered a serious beer? While, there are those that may not consider them a serious beer, some of the micro-breweries across Northern America have come up with some really good selections that are a wonderfully different accompaniment to any autumn or holiday meal. However, some of the Pumpkin Beers are so sweet, that they work better as an after dinner dessert. In fact, some restaurants are now serving Pumpkin Beer as an after dinner drink served in a pint rimmed with brown sugar crystals. 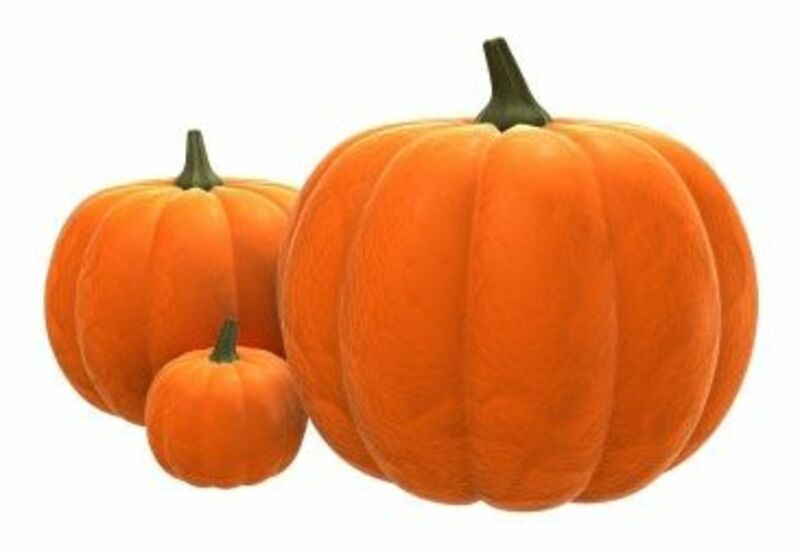 Below I have listed some of the Pumpkin Beers that are currently on the market. Pumpkin Beer is popular during the fall of the year and goes hand-in-hand with the foods that are prepared as the weather gets colder. 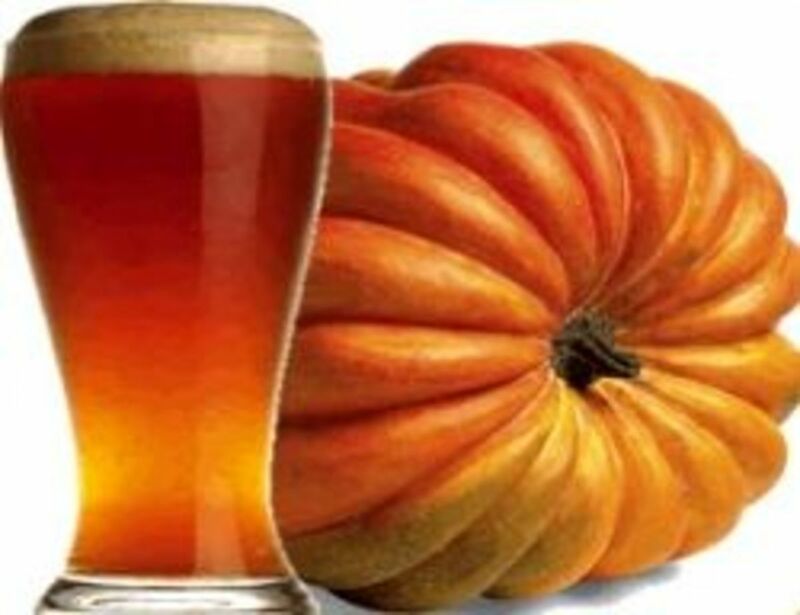 From a spiced bowl of hot chili to a roasted turkey, pumpkin beer is an accompaniment to a winter meal that many enjoy. 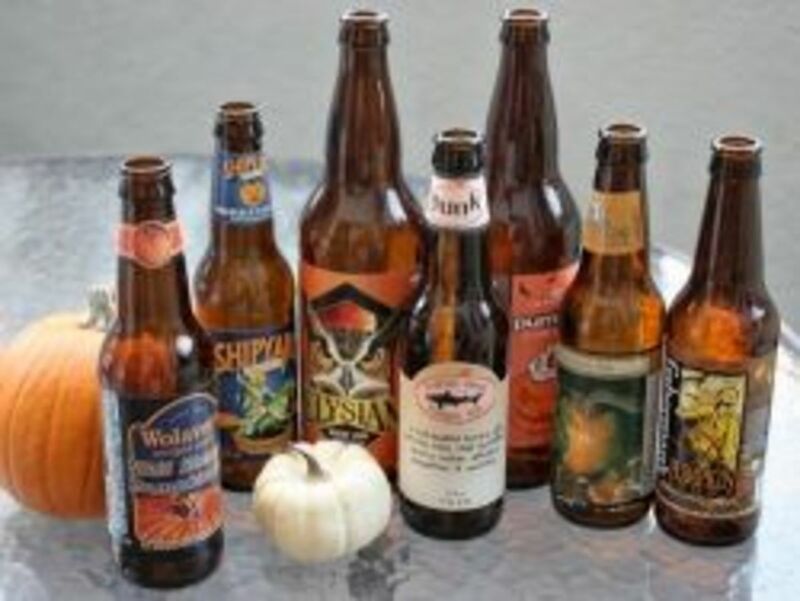 There are many breweries and micro-breweries that have created a wide variety of spiced pumpkin beers and ales. Here is a sampling of the many Pumpkin Beers that are now on the market that you may be inclined to try. 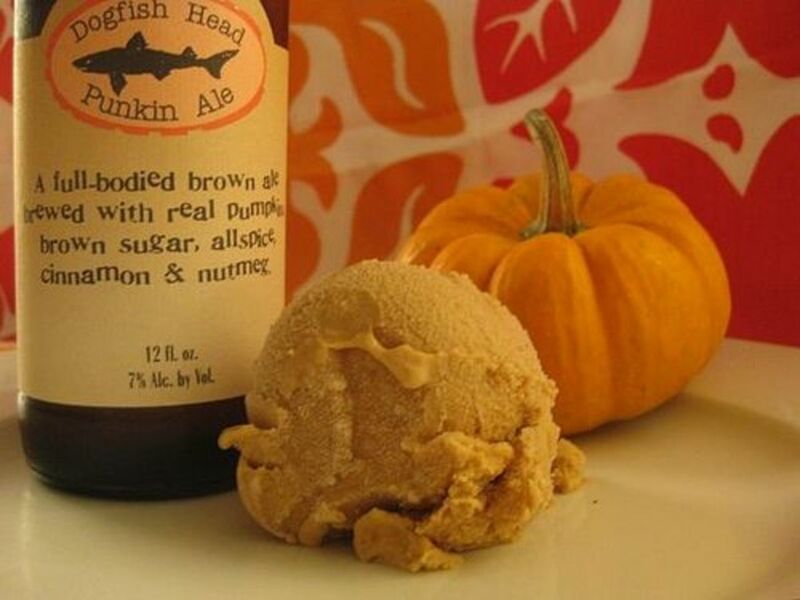 Dogfish Head Craft Brewery Punkin' Ale - (Delaware) This beer leans a bit on the sweet side so will work well in the Pumpkin Beer Ice Cream recipe below. Harvest Moon Pumpkin Ale - Coors Brewing Company (Colorado) I personally did not care for this Coor's creation as it had a very bready-wheat flavor, but then the only beer that I will drink that is brewed by Coor's is Killian's Red. If you are a Coor's fan, you might like it. The recipe and photo come from Modern Domestics which she adapted it from a Williams-Sonoma recipe. In a heavy 2-quart sauce pan, combine 1 cup of cream and 1/2 cup of the brown sugar. Warm over medium heat, until small bubbles form at the edges of the mixture - around 5 minutes. In a medium bowl, combine the egg yolks, ginger, salt, and remaining 1/2 cup cream, and the remaining 1/4 cup brown sugar. Whisk until smooth. Remove cream mixture from heat. Very slowly add about 1/2 cup of the hot cream mixture to the egg yolk mixture, whisking constantly. Pour the egg yolk mixture into the saucepan. Cook over medium heat until mixture thickens and coats the back of a spoon (if you run your finger through the mixture on the spoon, it should leave a clean trail). Do not let the custard boil. In a bowl, whisk together the pumpkin puree and vanilla. Cover and refrigerate for at least 3 hours or up to 8 hours. Strain through a fine-mesh sieve into a medium bowl, then cool the custard mixture over an ice bath. When cool, whisk the pumpkin, vanilla, and pumpkin beer into the custard. Cover with plastic wrap, placing the plastic directly on the custard's surface (this will prevent a skin from forming). Refrigerate until chilled - preferably overnight. Transfer the custard to an ice cream maker and freeze according to the manufacturer's instructions. Makes about 1 quart. 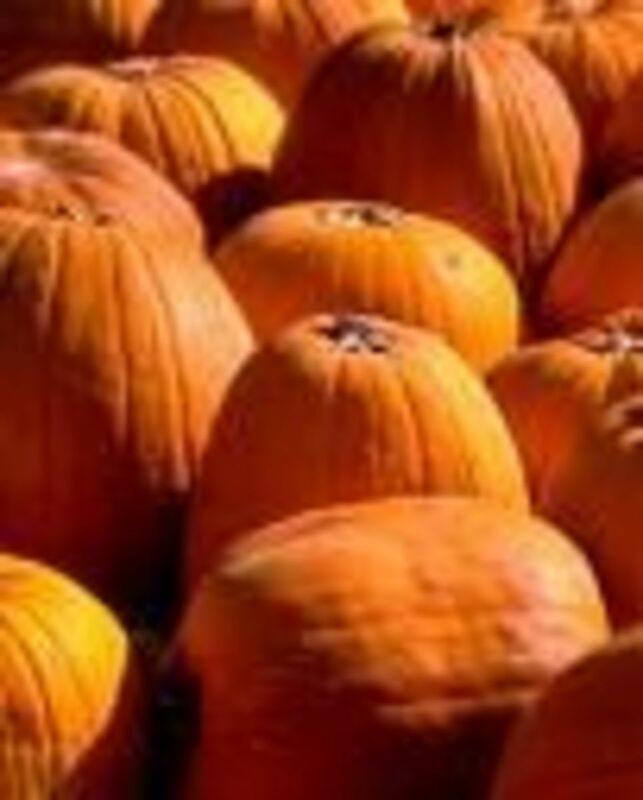 To make your own homemade pumpkin puree, use 1 large or 2 medium Sugar Pie or other eating (not field) pumpkins. Cut out the stem and quarter the pumpkin lengthwise. 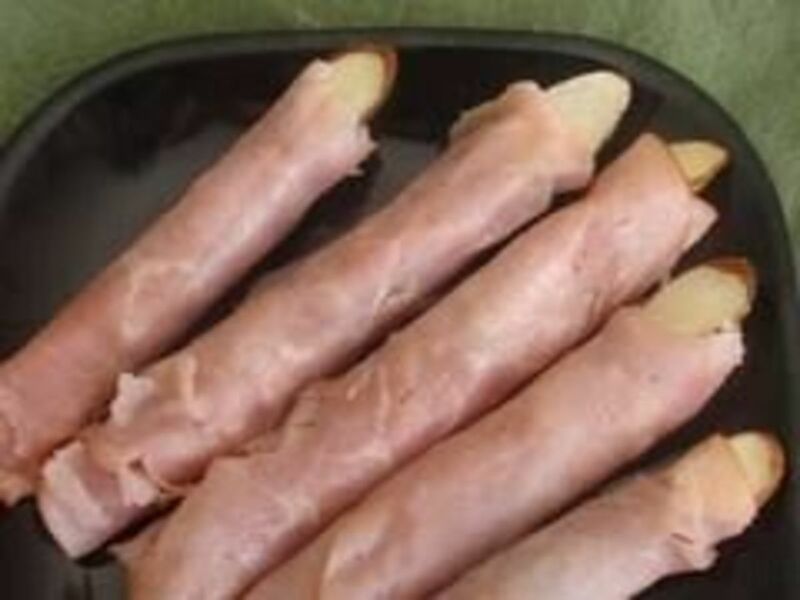 In a preheated 400Â°F oven, bake the quarters, cut side down, in a shallow roasting pan with a little water in the bottom until tender, about 1 hour. Let cool, scrape out the seeds, cut the flesh from the peels, and force it through a medium-mesh sieve or the medium disk of a food mill. Freeze any leftover puree for up to 2 months. Some of my best memories of a child at home were when my father and uncle's would all take turns with the old fashion hand crank ice cream maker. It would take them most of the day adding ice and rock salt while taking their turns cranking the old ice cream maker, but boy was that wait ever worth it. All of us kids, young and old, would crowd around waiting our turn at that delicious confection. Create memories for your own children by making them ice cream at home for the holidays or any special day. 2. Weigh or lightly spoon flour into dry measuring cups; level with a knife. Combine flour, salt, and next 6 ingredients (through allspice) in a medium bowl; stir with a whisk. 3. Combine 1/2 cup water and flaxseed. 4. Place sugar, melted butter, beer and eggs in a large bowl; beat with a mixer at medium-high speed until well blended. Add flaxseed mixture and pumpkin; beat at low speed just until blended. Add flour mixture; beat just until combined. Divide batter between 2 (9 x 5-inch) loaf pans coated with cooking spray. Bake at 350° for 1 hour and 10 minutes or until a wooden pick inserted in center comes out clean. 5. Cool 10 minutes in pan on a wire rack; remove from pans. Cool completely on wire rack. The extra loaf may be wrapped in plastic wrap and frozen or given away as a gift. You may need these kitchen tools to make your Pumpkin Beer and Pumpkin Beer Ice Cream. I own this Microplane Nutmeg Grater. It is very convenient for me as it not only grates the nut but will also keep the unused portion of the nut from losing its potency by storing it in the attached box. I also own two of these Braun coffee grinders (featured here) which I use on a regular basis. One of the coffee grinders I use for (duh) grinding coffee, and the second one I use to grind spices. This coffee grinder is a well made, durable grinder. I have had mine for years and use them constantly. The first time I made beer biscuits was out of necessity. The necessity was we wanted some biscuits to go with our dinner but had run out of milk, and it was too far to drive all the way into town just for a carton of milk. We had lots of beer, however, so beer biscuits were born. I decided to try making them with some left-over pumpkin beer and they turned out great. 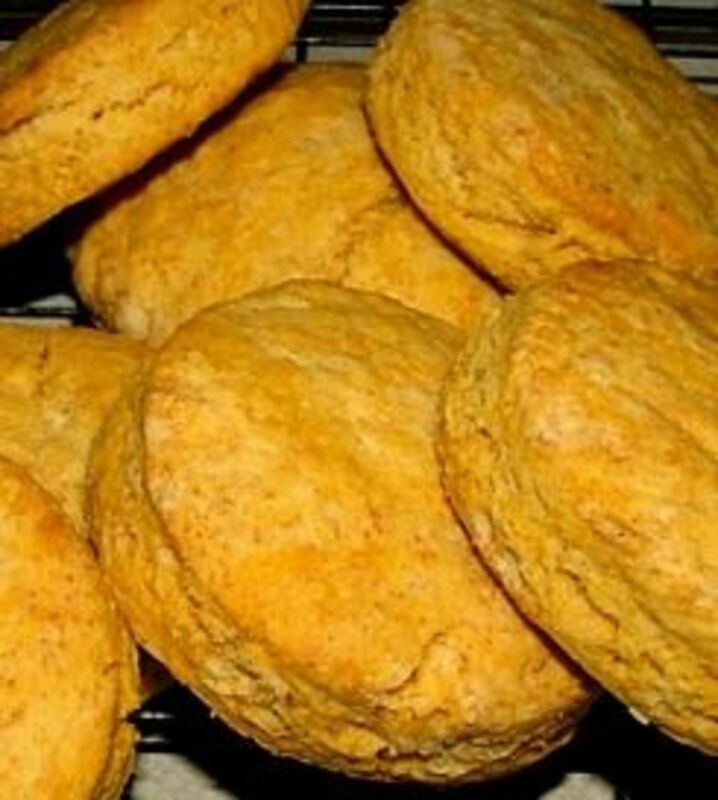 Keeping it simple, this recipe is using Bisquick, but you could just as easily use your own biscuit recipe and just substitute the beer for the milk. All you have to do is follow the directions on the box of Bisquick, or from your favorite brand of baking mix, and just replace the milk with the pumpkin beer. The beer should be room temperature, but not flat. When you add the beer, pour it in slowly so that it doesn't foam up and make a mess. If you have some leftover pureed pumpkin on hand you could mix about 1/4 c. to 1/2 c. of pumpkin into the dough. Just remember to cut the quantity of beer for the amount of pumpkin added. So, if your recipe on the box calls for 2/3 of a cup of milk, add 1/3 cup of pumpkin and 1/3 cup of beer. Because I had a large family when I baked biscuits from a baking mix, I usually use 4 cups of the baking mix and 1 12-oz. bottle of pumpkin beer. Once everything is mixed, just knead your dough enough to be able to roll or pat it out. Don't play with the dough too much or you will have tough biscuits. You could also make dropped biscuits, if you prefer, by dropping the dough into buttered muffin tins, or onto an ungreased cookie sheet. Again, just follow the directions on the box of your baking mix for the baking time, but biscuits generally will take 8 to 10 minutes to bake in an oven set at 450 degrees Fahrenheit. I have tried all of these options and they are all good. If you decide you want to try them, just stir into the baking mix before adding the beer. Now that you have a better idea about Pumpkin Beer, are you ready to try it? What do you think about Pumpkin Beer now? Where's the nearest beer store? Dudette - i just wanna drink it! Did You Find the Pumpkin Beer Recipe You Wanted? @WindyWintersHubs: Don't feel alone. That is why I get creative with using it to bake. I love pumpkin desserts and may drink a beer a year. Not too sure about pumpkin beer as I like plain things. OK. It sounds really strange to me (LOL). 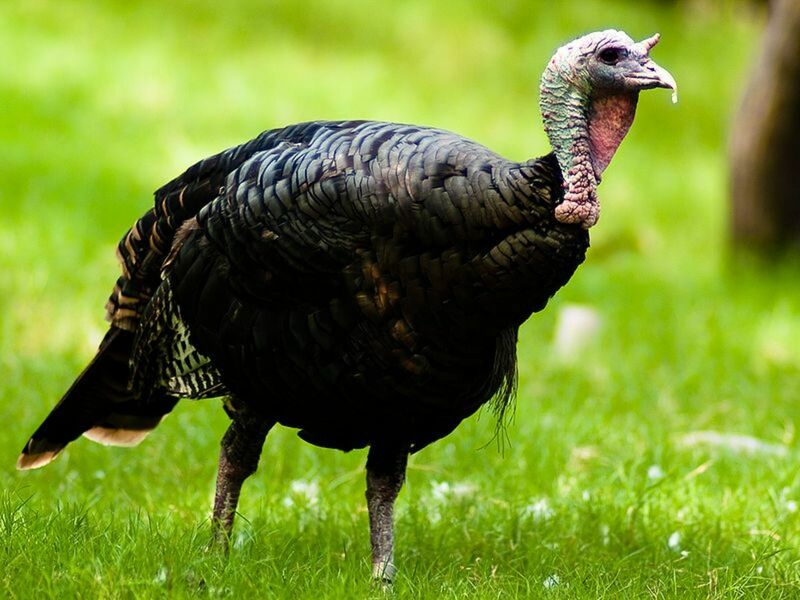 @donnetted: Sorry you don't eat pumpkin. It is so good for you, even without the beer. @Tony Cooks: Thanks for the nice comment. @dragonlildragon: Thanks for such a nice compliment! @clouda9 lm: Thanks for the info Colleen. Wow, i never even knew Pumpkin beer existed, it sounds delicious, great lens! Hmmm I'm not too sure about this... I don't eat pumpkin... 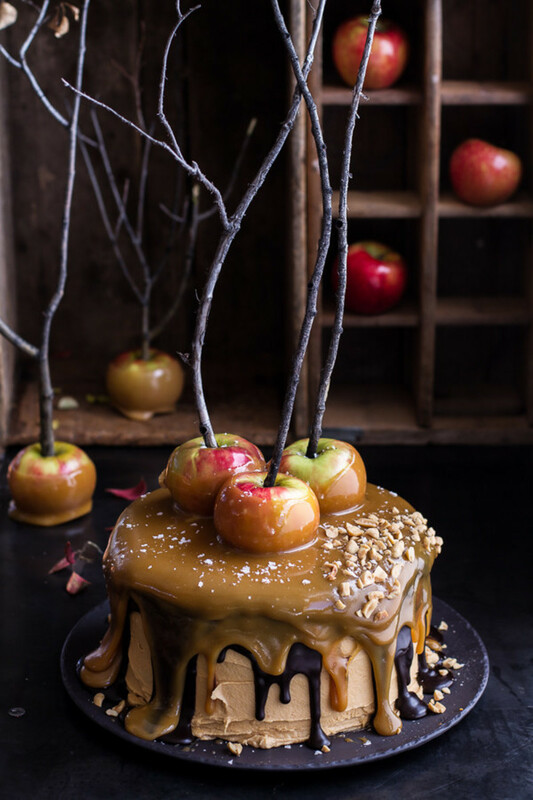 But the recipes look absolutely divine! Really cool lens. Lots of information here. I am very surprised you have not got a purple star for this lens. What a great lens. Never heard of pumpkin beer before! McMenamin's (http://www.mcmenamins.com/) here in the NW is one of our fave places to go for seasonal beers...their twist on autumn and pumpkins is not to be missed. Well ... I'm not a beer drinker, but my honey is. I'll have to show him this lens as I'm sure he'd like to make beer at some point. Our neighbor down the street brews his own beer; I tried it and it was rather smooth and tasty. Perhaps because it was flavored with raspberry -- and I'm a "fruity" kinda gal. Thanks for sharing all these recipes. A lot of time went into developing this lens! @LaraineRoses: Thanks so much Loraine for the blessing. I hope you have great luck with your pumpkin brew! @DarrenVeronica: Thanks for the visit. @kate-cleary3: Didn't know Cortland made pumpkin beer. When I lived in upstate New York I never saw any. I will look into it. Glad you had success with your homemade brew. @Melissa Miotke: I'm from Hawaii and I love beer too. @Ardyn25: Try them sometime. You may be surprised. Pumpkin beer sounds awesome! Amazing lens! I've used pumpkin in many recipes but never had pumpkin beer. It certainly sounds like it would be good. Our pumpkins didn't grow very big this year for some reason but we have quite a few so I'll see what pumpkin beer tastes like. Angel blessings! Made like 15 kegs of pumpkin beer last year. Sold pretty well, you should put Cortland Beer Company in upstate NY on your list. My dad has a home brewing kit. I'll have to tell about pumpkin beer, he might like it. I might too! Love pumpkin beer! Great lens! Pumpkin beer is so good! @mbgphoto: Thanks so much for the Squid Blessing! I really appreciate your continued support. @Jefff Molnar: Thank you so much for the Squid blessing and good luck with your pumpkin beer! @TaraWojt: Hope you like them. Awesome lens...I've never heard of pumpkin beer. But, the bread looks so good! I love anything pumpkin. Can't wait to try this. I love this lens. I brew my own and never made a pumpkin beer. I am going to give it a whirl this fall. Blessed! @SciTechEditorDave: Thanks for stopping by and leaving such a nice comment. The Squid Angel Bus Tour was getting a little thirsty so it stopped by. Now it's hungry too! Heh! Sounds like it's good brew! Congrats on a Squidoo masterpiece! I didn't know you can make ice cream out of it too. That's great! Nice looking Brewing Blog! I don't think that i have ever seen more beautiful blog on brewing on squidoo before this. this was absolutely immaculate in both looks and user values. I loved the reading of this lens. Keep sharing more information on Home Brew Ireland. @anonymous: Was hoping to here how it turned out. @tvyps: Thanks so very much for the blessing! I've had the bottled kinds, not a big fan of pumpkin itself but the beer tastes pretty darn good! 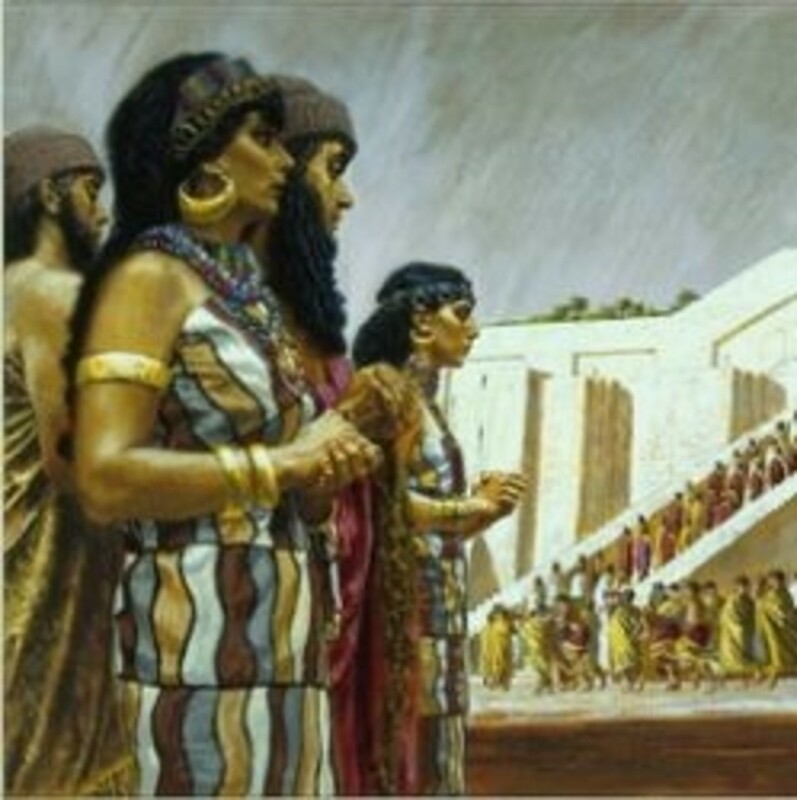 Great background on this -- I enjoy learning the history behind traditions. I'm hoping more people become inspired to to reduce waste and include more homemade foods. I agree about freshly ground nutmeg -- it's *so* good. 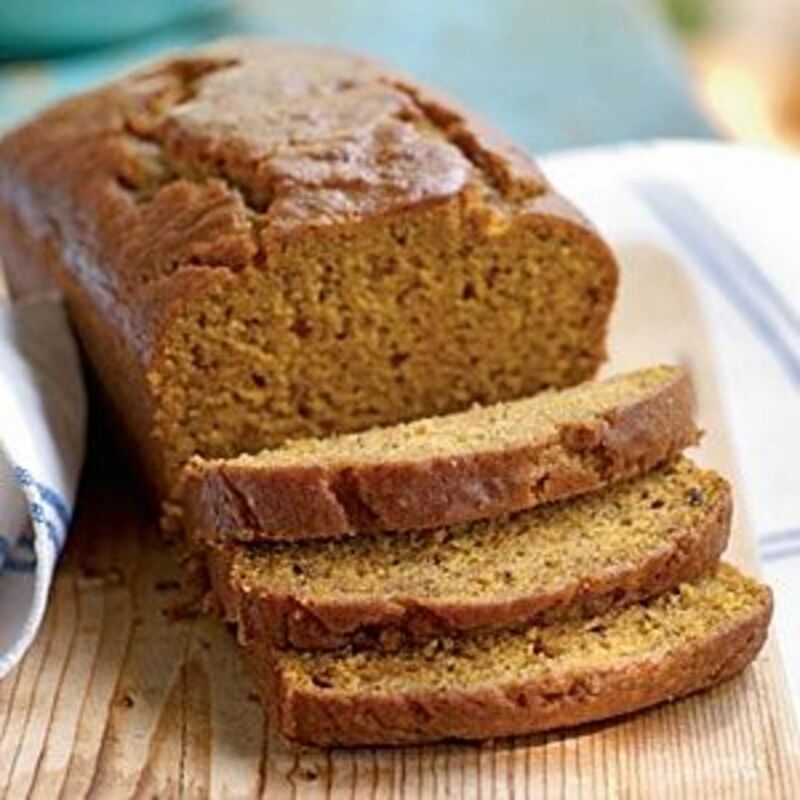 The pumpkin beer bread and biscuit recipes look delicious! This is so cool! I will definitely have to try making Pumpkin beer and the biscuits! Nicely done! I caught the "Dudette" comment twice, that is something I would say, haha. Squid Angel blessed &amp; Happy Thanksgiving! Brewed the pumpkin beer recipe on this page 3 weeks ago, and bottled it last week. Tasted it prematurely yesterday, and it's going to be very good! Has a nice orange / reddish color, and I left out the vanilla and the pie spices, and doubled the Hallertauer hops. You can smell / taste the pumpkin aroma without it being too sweet. Giving it until Thanksgiving, and then I'll be opening it! @Nancy Hardin: Thank's so much for the blessing! It is such a nice surprise! Great info. Love the great taste of a good pumpkin beer in the fall. That is not bad idea to brew some pumpkin beer for thanksgiving. Would be fun. Not sure why it didn't cross my mind until now lol. I heard of many types of beer but not made with pumpkins and it's nutritous too! @sudokunut: I must admit that I prefer baking with it. I like having one or two for the season, but then I'm ready to go back to regular beer. On the other hand, I have had home brew pumpkin beer that is really good. Much better than the commercial grade. Like you I am always willing to try a new flavor and a new pumpkin beer! @WhiteOak50: Thank you much for the Squid Angel blessing it really means a lot! This is perfect - I've been looking for a beer to brew this fall - Thanks for the for the recipe - I'll let you know how it turns out! I've never had pumpkin beer but I'm always willing to try new flavors. Thanks for stopping by my scary book lens and leaving a comment. I'm not much for beer but, I really want to try this. I would love to try pumpkin beer. The ice cream sounds amazing. I don't think I will make it but I will try to find it this fall. @JimHofman: Everyone should check out this lens. The Glogg is great! To Both Kims - Hi glad to "see" you guys again. I don't know about Trader Joe's as we don't have one in our area yet. Most beer stores carry it at this time of the year. I probably wouldn't make pumpkin beer but I would definitely try it. The bread sounds delicious. I am off to Trader Joes this morning, so will look for some pumpkin beer . What a fun lens! We love pumpkin beer and now want to try your recipes. You might enjoy our lens on the winter warmer "Glogg". Cheers! Trader Joe's usually has pumpkin beer this time of year. I will have to try your bread and biscuit recipes! Very interesting. I've never heard of pumpkin beer. Pumpkin beer might be delicious ,we find pumpkin in many dishes and I like pumpkin curry. Excellent Lens!! I enjoyed reading it. I'd Love for you to visit my lens &amp; give me some feedback. Ooh I like this! Great for Halloween, I will pass this on! My goodness, what does it say about me that I've never heard of pumpkin beer before? And with it being such a seasonal/American thing, hmm, wonder when I'd actually get my chance to try it out. (Maybe getting one of those home brewing kits is in order) :). Anyhoo, your lens was a great introduction June, thanks for putting it together! I have never cared for pumpkin beer. The ones I have tried were to sweet, but I never thought to use it in bread recipes. I copied the recipes you have here and will try them. What a beautiful delicious Lens ! I've never tried pumpkin beer, but it sounds interesting, especially at this time of year! Very clever lens. I love it! !